In the recent case of Milnerton Estates Limited v CSARS, the Supreme Court of Appeal had to decide whether to include the purchase price in a property developer's 2013 year of assessment, even though payment was only received by the developer in its 2014 year of assessment. 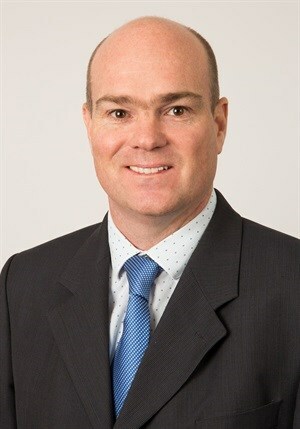 Graeme Palmer, director in the commercial department of Garlicke & Bousfield. A property developer concluded 25 sale agreements for a residential estate. The purchasers were required to pay a nominal deposit and the balance of the purchase price was payable against transfer. In 16 transfers, the purchasers had to raise finance and furnish a guarantee, the contracts containing suspensive conditions for obtaining the finance. In all 16 contracts the suspensive conditions were fulfilled by the end of the 2013 tax year. In the other nine sales, the purchasers either deposited the purchase price in cash with the conveyancers or provided guarantees from financial institutions for the purchase price. The result was that in all 25 transfers the purchase price was fully secured before the end of the 2013 tax year. The taxpayer contended that at the end of the 2013 tax year its entitlement to the purchase price remained conditional on its performance of the remaining tasks necessary to effect transfer of the properties into the names of the purchasers. It therefore omitted the purchase price of the 25 properties from its gross income in that year. SARS, on the other hand, contended that the purchase price in each instance had accrued to the taxpayer in the 2013 year, alternatively it was deemed to have done so by virtue of section 24(1) of the Income Tax Act. SARS accordingly raised assessments including the purchase price in the taxpayer’s taxable income attracting income tax of R1.9m. SARS argued that the requirements in section 24(1) had been met as the taxpayer had entered into agreements with the purchasers of the properties in respect of immovable property, the effect of which agreements was that transfer would be passed from Milnerton Estates to the purchasers, upon or after the receipt by Milnerton Estates of the whole of the amount payable to it under the agreements. On this basis SARS contended that the whole amount was deemed to have accrued to the taxpayer on the date on which the agreements were entered into. The taxpayer put forward several arguments as to why the purchase price did not accrue to it in 2013. It contended, for example, that section 24(1) does not concern itself with cash sales, but only with the sale of immovable property on credit. None of the arguments were accepted by the court. It was held that the agreements provided for Milnerton Estates to pass ownership to the purchasers upon or after receipt of the whole purchase price in terms of section 24(1). The purchase price was therefore deemed to be received in its entirety in the 2013 tax year, not the 2014 year when payment was in fact made.